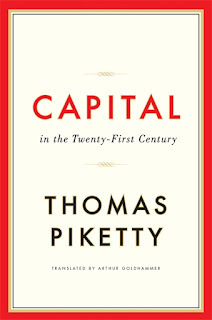 I just finished reading Capital in the 21st Century, by Thomas Piketty. It only took me three years. The book deservedly attracted huge attention at the time and catapulted its author to fame, but at 700-odd pages, with loads of data to chew through, it takes some effort to read. Its central thesis is that capitalism will always move towards greater wealth inequality if left unchecked – and increasingly, of late, we do leave it unchecked. 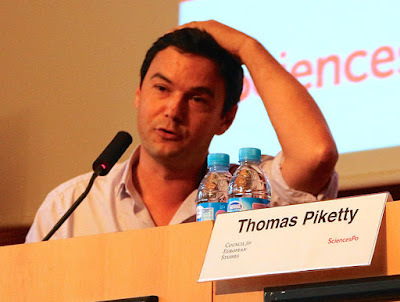 In the course of his work, Piketty (and a few fellow researchers) gathered the most complete database of global wealth, income and inequality ever compiled. It’s available free, online, though a quick nose through will show how messy the data is. Piketty himself recognises this, and it is one of the main reasons we struggle so much to make headway on the subject. Better tax data would help, but weirdly, those squirrelling wealth in the British Virgin Islands don’t like that idea much. This tendency to inequality interacts with another massive problem facing the economics profession at present: the question of why the economy’s ‘equilibrium’ interest rate is low and falling (the rate that pertains when the economy is growing at potential and not over/under-heating), alongside what appears to be a steady stagnation of economic potential. This downward trend manifests itself in the very low rates we can achieve on cash savings at present. Why this is happening across the developed world is unclear – some blame “secular” trends, such as running out of big technological breakthroughs and the ageing population, other think financial booms and busts leave lasting damage, and yet others blame a glut in global savings. Maybe it’s a combination. This is a massive problem. Young people have to pay old people’s pensions, but as growth falls and the return on savings declines, it becomes much more difficult for us to do that. It also makes it increasingly difficult to rebalance the economy over the economic cycle, because central banks can’t cut interest rates much below zero. We’re in a lot of trouble. Recent research has suggested that as the return on savings has fallen, people have begun to save more, in the hope of maintaining their standard of living in retirement. An older population also tends to save more, because retirement. So savings are up, growth is down. 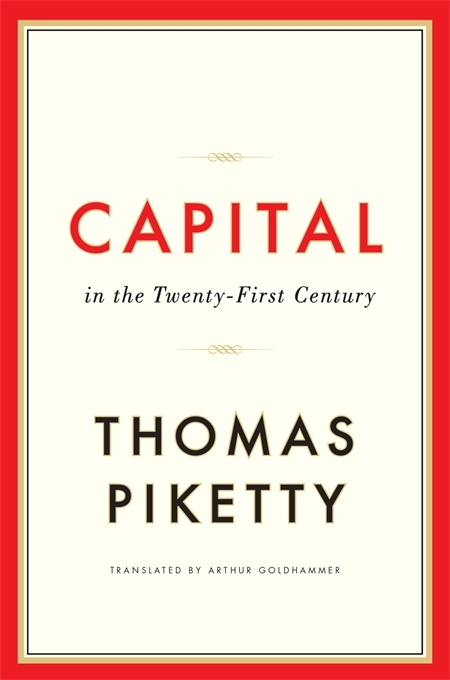 Back to Piketty. His central point is the return on capital (investments in stocks and shares, bonds and housing) return significantly more than labourers can attract by working. Labour income grows by approximately 1-1.5% a year on average in the developed world, compared with an average return of around 4-6% on capital. This means sitting on a heap of capital, often inherited, not only gives one more money to consume, but the pile also grows faster, widening the gap between the rich and poor. Piketty’s data adds a further important point: income from capital is always and everywhere more unequally distributed than income (p244). Indeed, very large chunks of the population have no capital at all, and rely entirely on income from labour. “The inescapable truth is this: wealth is so concentrated that a large segment of society is virtually unaware of its existence,” he writes. The share of capital in a country’s income is determined by the savings rate divided by the growth rate. This means that as savings rise and growth falls, capital comes to account for a larger overall share. And as capital is always more unequally distributed, it drives a fatter wedge between rich and poor. This is morally indefensible when so many people live in poverty. And the falling growth/long-run interest rate makes the problem worse. It is also possible there may be a feedback loop. Very rich people consume a smaller share of their income than poor people, simply because they have so much of it. So it is very plausible that as concentration of wealth increases, the downward pressure on consumption and therefore growth will become worse. People will save more, rates will decline further, and growth will stagnate. The pensions crisis will deepen. This U shape appears in all of the developed world, though the data is tidiest in the US. As is clearly the case, it is not an immutable fact that inequality must rise. Many policy choices by governments can lean against the trend, most obviously taxing rich people, or fighting a World War. Education and minimum wages also help. But this probably requires its own post. For now, suffice to say inequality is a big and growing problem, and economists are facing some serious questions that need urgent answers. At the same time, politicians have made one helluva mess, and need to start cleaning up right now.